The EU's naval rescue operation Sophia had been paused over Italian threats not to allow migrant disembarkation at its ports. Rome is now giving the EU five weeks to find a solution to share the migration burden. Italy agreed Monday to continue accepting migrants rescued by ships from the EU's naval mission in the Mediterranean, at least for the next few weeks until the bloc can agree on how to distribute the migrants. Foreign Minister Enzo Moavero Milanesi said after talks with his German counterpart Heiko Maas in Berlin on Monday that Italy would allow ships from Sophia with migrants to dock at Italian ports for the next five weeks until the EU talks could come up with a new solution. Italy has demanded a revision of the EU's Sophia anti-trafficking mission in the Mediterranean, the terms of which call for rescued migrants to automatically disembark at Italian ports. Milanesi said that Italy wanted "to overhaul the operational rules so as to avoid all the rescued people landing in one country." Last week, Italy said it would no longer allow ships participating in the mission to disembark migrants at Italian ports. The announcement resulted in ships in the operation being temporarily ordered back to port in order to prevent a situation where migrants were rescued without having a place to bring them to land. Maas said that Germany understood Italy's feeling that "they have been left alone" to deal with migrant arrivals. "At the same time, we expect all EU states to uphold existing agreements. Sea rescues are one of those areas of agreement," Maas said, noting that Spain has now overtaken Italy as the main arrival point for migrants crossing the Mediterranean. "If the countries of the Mediterranean are asking for European solidarity then they have an ally in Germany," he said. 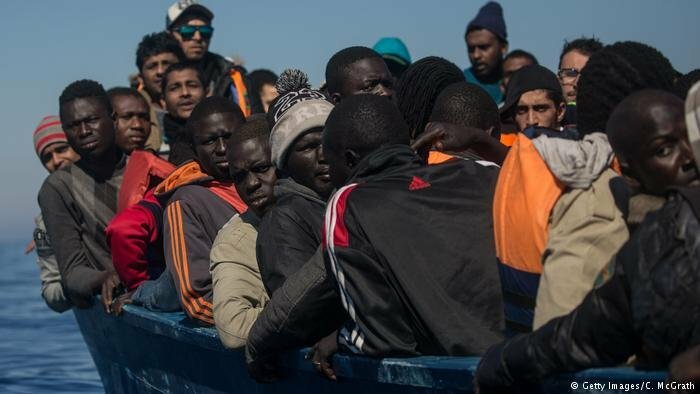 EU political and security circles last Friday met to discuss the migration issue and agreed to conduct a "strategic review" of Operation Sophia's guidelines. The mission was launched in 2015 as an anti-trafficking operation. Since then, the naval operation has brought about 50,000 migrants rescued at sea to Italian ports. Part of Operation Sophia involves training and equipping the Libyan coast guard, which has taken the lead in intercepting migrants and bringing them back to Libya. 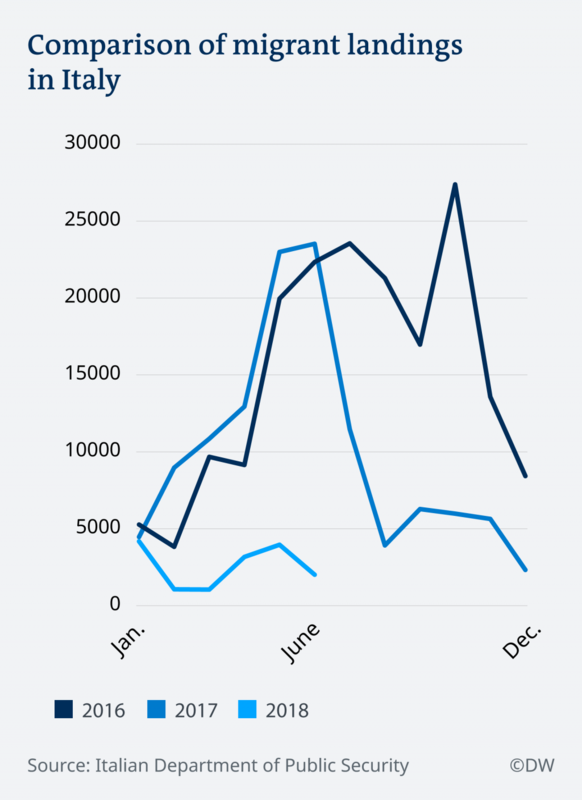 As a result, migrant arrivals in Italy have plummeted to about 17,000 so far this year. Italy has taken in nearly 700,000 migrants and refugees since 2013, mostly people fleeing war or poverty in African countries, crossing on unseaworthy and overcrowded smugglers' boats from war-torn Libya. About 17,000 people have been reported dead or missing trying to cross the Mediterranean since 2013. Military officials with Operation Sophia say that recently ships participating in Sophia have picked up very few migrants as they are staying farther from the Libyan coast. The new populist coalition government of the League and 5 Star Movement has already closed Italian ports to humanitarian rescue ships, saying it wants a fair distribution of migrants across the EU. Italy's hardline interior minister and head of the League, Matteo Salvini, wants Libya to be declared a "safe country" where migrants intercepted in international waters can be returned. Italy is also pressing EU states to set up migrant processing centers as agreed at a leaders' summit in June. The establishment of the asylum processing centers would be voluntary.